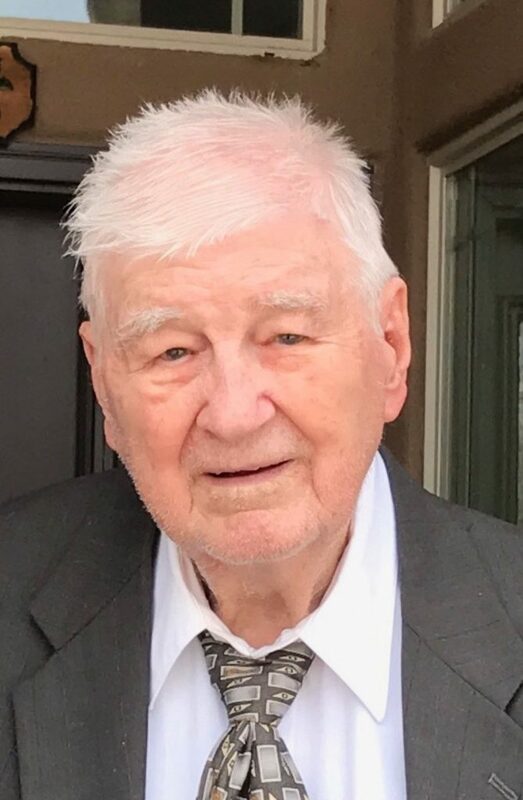 Leroy Elbert Heineken, 95, loving husband, father, grandfather, brother and uncle returned to his heavenly Father Nov. 7, 2018, surrounded by his family. Leroy was born Sept. 22, 1923, to Amanda Alice Lewis and Harry Lewelling Heineken. Because of the Depression, the family moved to California. He volunteered into the Army Air, where he trained, graduated and became a pilot in August 1944. As soon as he was discharged he enrolled at Woodbury College in Los Angeles, where he graduated with a bachelor’s degree in accounting. He was baptized a member of The Church of Jesus Christ of Latter-day Saints on May 5, 1951, and was soon called on a mission to the East German Mission. While on his mission he met a lady missionary, Beverly Baxter, from Hyrum, Utah. They were married Nov. 18, 1955, in the Logan, Utah Temple. They lived in Orange, California, Hyrum, Utah, and St. George, Utah. Together they have four children: Diane Heineken Berger of Medford, Oregon; Harry Heineken (Lorie) of Murrieta, California; John Heineken (Lori) of Brea, California; and David Heineken of St, George, Utah. Leroy served faithfully in many callings for the LDS church. Leroy is survived by his wife Beverly, four children, 10 grandchildren two step-grandchildren, two great-grandchildren and sister Verna Gorg Linnell (Lee) of St. George, Utah. He was preceded in death by his parents and sister, Fern Conger Olive. Funeral service will be held Saturday, Nov. 10, at 11 a.m. at Metcalf Mortuary, 288 West St. George Blvd., St. George, Utah. A visitation will be held prior to services at 10 a.m. at the mortuary. Interment will be in the Tonaquint Cemetery, 1777 S. Dixie Drive, St. George, Utah.